The Carre Alloy Wheels range includes some great designs at some really competitive prices. Classic style, entry-level pricing and European quality make Carre alloys an excellent choice. The complete Carre Wheels range is available now from us here at Carnoisseur. You can buy online or at your local Carnoisseur Outlet. 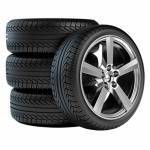 All of our wheels can be bought with tyres - simply select the wheel, and your vehicle, and a selection of suitable tyre options are displayed for you to choose from. Simple!